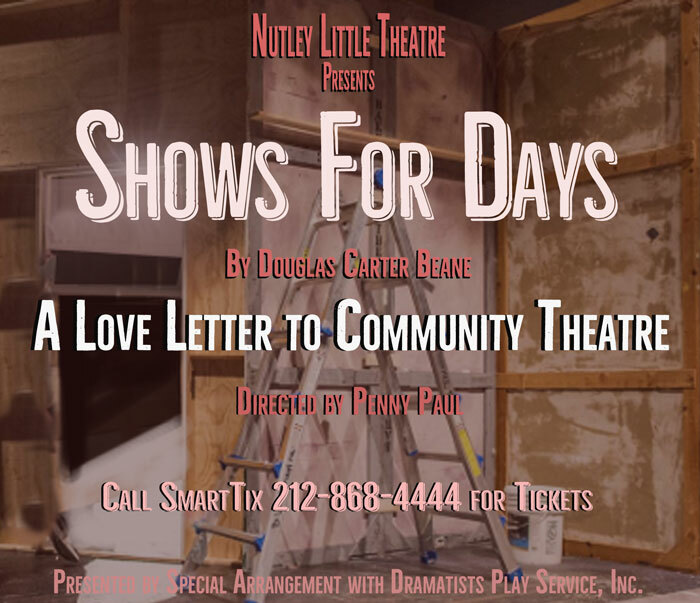 Douglas Carter Beane’s “Shows for Days” is an arch love letter to community theatre. This autobiographical comedy chronicles the playwright’s coming of age in the 1970’s amidst a motley crew of devoted thespians. The show is directed by Penny Paul of Montclair, and the cast includes Rafaelle Danta and Ruth Kliwinksi of Bloomfield, Michael Smith-Gallo of Montclair, Kristine Stringer of South Orange, and Judy Wilson and Lonzell Wilson of Fort Lee. Opening Night Performance will benefit Big Brothers, Big Sisters of Essex, Hudson, and Union Counties. or go to SmartTix.com to reserve your tickets NOW! Nutley Little Theatre engages SmartTix.com to handle ticket sales by phone and through the Internet. American Express, MasterCard, Optima, Visa, and Discover accepted.ORDER TICKETS ONLINE NOW! or all remaining NLT productions. Want to display your support for NLT? 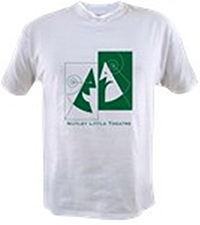 CLICK HERE for merchandise bearing the NLT Logo. ©2016 The Nutley Little Theatre. All Rights Reserved.